Doha, Qatar: Northwestern University in Qatar (NU-Q) kicked-off a week-long initiative to promote research opportunities for its students. Faculty and students at NU-Q engage in pioneering research in various areas including: analyzing the news and media industries in MENA countries, trends of media use, health communication studies and strategies, the media’s role for national identity, digital literacy, and more. At the start of NU-Q’s Research Week, students attended an orientation session to learn about, e.g., the importance of research in creating a knowledge-based economy, the procedures to become involved as student researchers and the types of grants available to them. 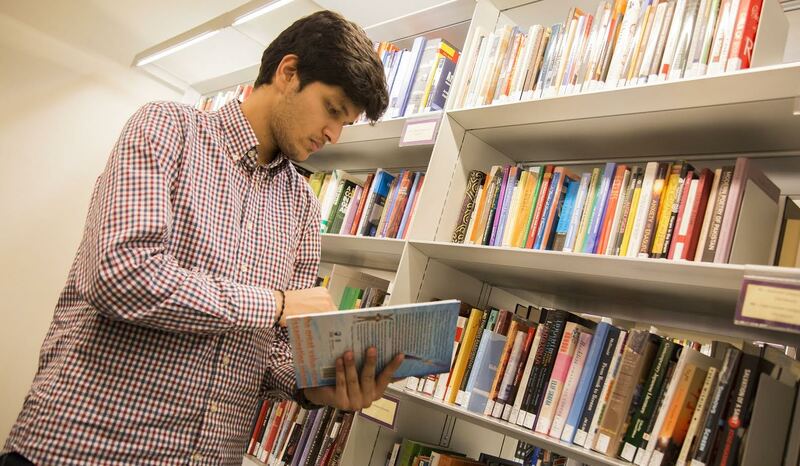 “Research is at the very heart of NU-Q’s student learning experience. We take after the tradition of our home campus in Evanston, one of America’s leading private research universities, to continuously produce scholarly studies that investigate some of the most prevalent topics in the region. Our faculty and students have been involved in numerous research projects that have won awards, grants, and been regionally acclaimed for their important findings,” said Everette E. Dennis, dean and CEO. Research skills are an indispensable part of an academic education, and NU-Q takes a systematic approach to encourage student inquiry and investigation. The NU-Q Research Office regularly discusses research interests and opportunities with students, and provides them with various services to facilitate the research process, help them apply for grants, and to attend research conferences. “Students at NU-Q will have the opportunity to assist with research project development, acquiring skills in data-gathering, analysis and interpretation. They have a great chance to learn about the different phases of a research project, and the different methods of gathering relevant information–an asset that will help them in both their personal and career development,” said Klaus Schoenbach, NU-Q’s associate dean of research. Students can apply for several different types of funding, including undergraduate language grants to travel and study a foreign language as well as grants for independent studies and to participate in workshops and conferences. The NU-Q Student Union recently delegated a committee of students to promote student research in collaboration with professors as well as in independent studies. Faculty will also take time out of each class during Research Week to discuss their previous and upcoming research projects as well as share some of their valuable learning experiences as published scholars. A “research café” in the afternoons gives students the opportunity to discuss their research plans with NU-Q’s Research Office in a leisurely atmosphere.